Pumpkins and Jack-o-Lanterns, A PowerPoint Book. Download here! 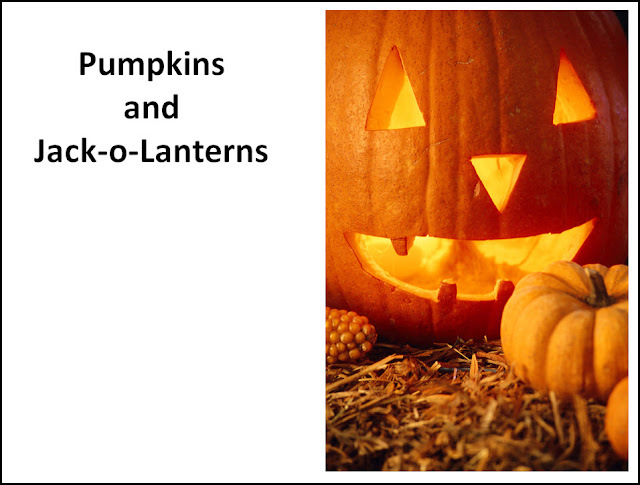 Here is another activity made with Microsoft PowerPoint. It was made quickly and easily with clip-art from Microsoft Office. Use while expanding sentences, practicing plurals, and for a variety of articulation objectives. Print and bind to use as a full sized book, print as a handout to make mini-books, use it on your whiteboard, or save it as an e-book.